Looking for a way to give back? RSU NO. 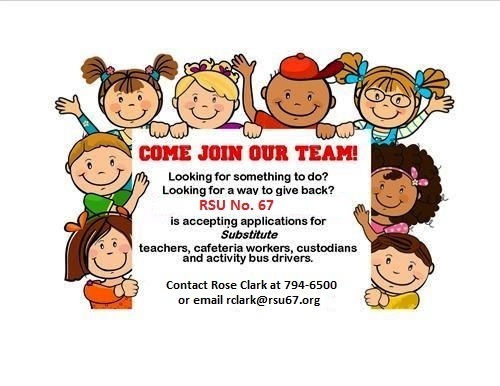 67 is accepting applications for Substitutes Teachers, Kitchen workers, and Custodian. Copyright © RSU 67 2019. All rights reserved.